Neotia Niket, EC 13, Salt Lake City, Kolkata - 700 064, West Bengal, India. Shreshta Group is a new generation real estate organization with rich experience in development of prime living and commercial spaces. 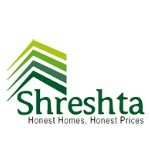 Over the last two decades, we have successfully designed, developed and constructed numerous housing projects, urban infrastructures and commercial complexes in and around Kolkata.Shreshta Group believes in teamwork. Be it a commercial, residential, IT, or leisure project, a clan of experts, seniors and go-getter young achievers with their ever-smiling face and customer friendly attitude is always there to cater your needs.One simple truth we do believe in – we want to see you happy. That’s why we put reputation, transparency and integrity above all which bears the testimony of our organization. The group is headed by Mr. Dilip Kumar Neotia & Mr. Atul Kumar Churiwal. The Promoters have vast experience of more than 25 years in developing and constructing Housing and Commercial Complexes, in and around Kolkata.Mr. Dilip Kumar Neotia is the moving force behind the construction activities of the Company and look after day-to-day management. He is in construction line for the last 25 years and is a partner in other Construction Firm promoted by him i.e. Riddhi Siddhi Promoters & Developers, ANG Developers, ANG Estate Developers.Mr. Atul Kr. Churiwal is a dynamic businessman and the Past President of Merchant Chamber of Commerce. Mr. Churiwal has more than 20 years experience in export and finance business. Apart from the Company he is also, Partner in Krishi Rasayan and Director in Shloke Properties & Investments Pvt. Ltd., Ranitlal Investments & Krishi Rasayan Exports Ltd.